After a December 5 journey to 3,600 miles from earth, the Orion Exploration Test Flight One (EFT-1) swung back in an elliptical route to earth and a splashdown in the Pacific Ocean, 600 miles west of San Diego. 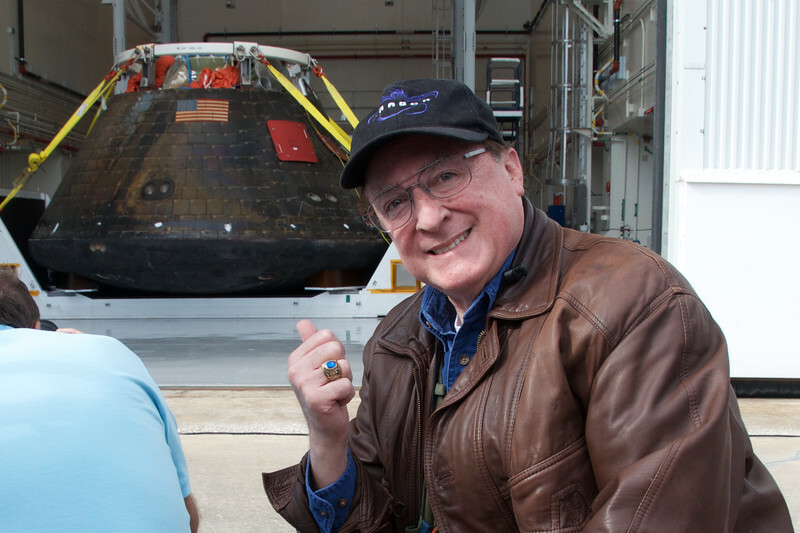 The Orion capsule returned to Kennedy Space Center on December 18, and the images in this gallery capture selected scenes from a subsequent NASA press conference on December 19 at the Launch Abort System Facility (LASF) Building, where the spacecraft will undergo detailed post-flight evaluation. The flight was a huge success, having achieved 85 of its 87 mission objectives (the only two that did not related to two of the floatation balloons that did not fully inflate. Images were captured by Jim Siegel, freelance journalist and photo journalist, and Celebration resident. Jim has been a contributor to a number of newspapers and magazines around the country, and more recently also in web-based publications around the world. Among other distinctions, Jim has press credentials with NASA and at the Kennedy Space Center (see some of his work at https://picasaweb.google.com/PhotoStoryJim). Downloads and prints of this and other events on this smugmug site are available at a nominal charge to help offset the cost of maintaining this site. Personal use of these images is permitted. Commercial use requires written permission from Mr. Siegel; he may be contacted at jim.siegel@mac.com.